The first Wi-Fi Garage Door Opener makes control from your smartphone reassuring and simple. The 8550W comes fully equipped with Security+ 2.0®, MyQ® Technology, Battery Backup and the Timer-to-Close feature. Capable of adding deadbolt lock. 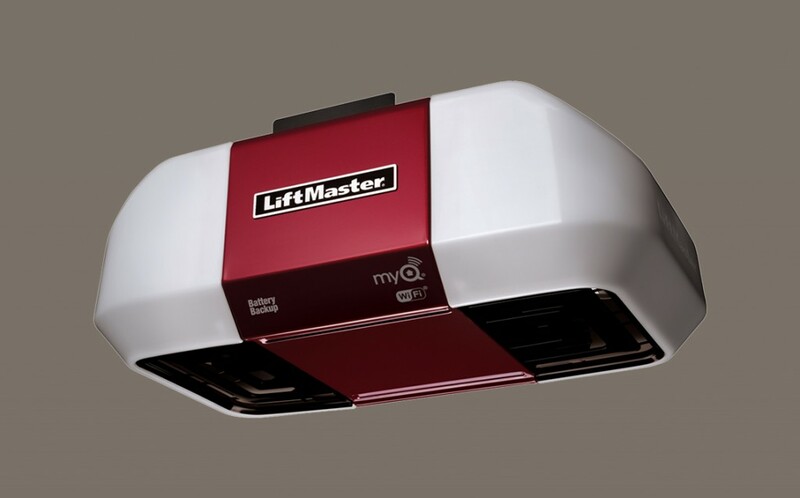 P3™ Motors from LiftMaster® are reliable, durable and powerful – designed specifically for your needs. DC motor belt drive system is powerful yet ultra-quiet and maintenance free. Battery Backup powers up even when the power is down so you can get in your garage. Energy-efficient operation consumes up to 75% less power in standby mode. Lifetime motor and belt, 5-year parts and 1-year battery backup warranty. Security+ 2.0™ safeguards your household – with every click a new code is sent to thte garage door opener so that the door opens only for you. PosiLock® locks down your door by electronically monitoring against a forced opening. Timer-to-Close remembers to close your garage door when you forget – automatically closes the door after a pre-programmed number of minutes. Alert-2-Close warning system provides audible and visual warnings when the garage door is about to close when using MyQ technology or Timer-to-Close. 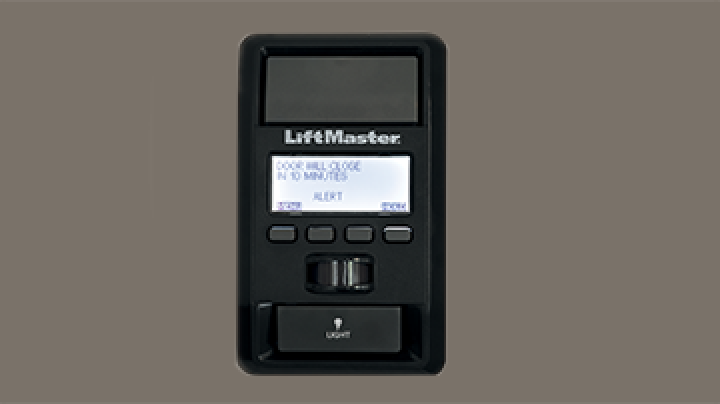 Motion detector activates the garage door opener lights as soon as you walk in so no more fumbling in the dark. The Protector System® has safety sensors that project a light beam across the garage door opening automatically reversing the door if anything interrupts the beam. Smart Control Panel® (880LM) LCD display enables simple programming and adjustment of settings. Mini Universal Remote Control (374UT) Compact and portable to provide quick, easy garage access. Wireless Keyless Entry (877MAX) Provides convenient secure access from outside the garage with a 4-digit pin. Remote Light Control (825LM) Allows you to control any lamp using a garage door opener remote control or smartphone via the MyQ app. Garage Door and Gate Monitor (829LM) Monitor and close up to four garage doors or gates within range.